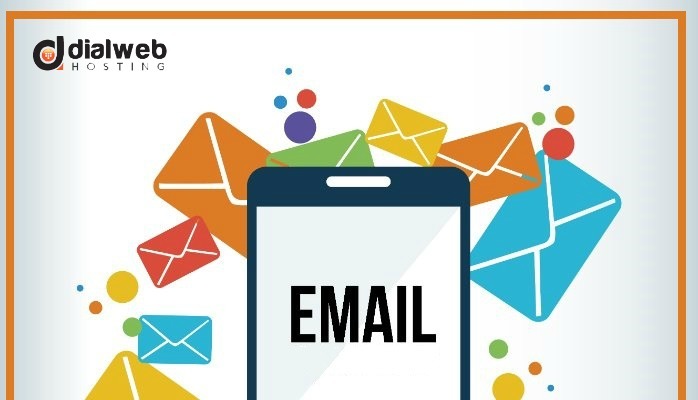 As per the Email Statistics Report of Radicati Group, there are around 3.7 billion mail users across the world who sends and receive around 269 billion messages each day. It is vital that you get ideal email hosting provider for your business. Making a wrong choice in a hurry could make you suffer from numerous issues. However, there are numerous questions which can come into your mind regarding email hosting like should I use free mail service? Do I require distinct email hosting or would I utilize my servers? Advantages and disadvantages of email hosting? Obviously, there is a question which makes a hosting provider the best email hosting provider. To help you in this decision-making process, here is a guide which will make you understand which email hosting provider is best for you needs. There is a plenty of technology lying behind to make sure messages are transmitted to intended recipient; however, delivering messages which have already been sent. After that, there is a archiving and email storage to consider. Ideal email hosting provider takes care of everything for you along with just a small effort which is needed on your behalf. Email hosting provider supplies server/servers which are designed precisely for sending, retrieving, and storing emails. The servers are burdened with a software which can do email management like Roundcube (web-based IMAP) or Microsoft Exchange. When talking about configuration, an email hosting service provider will set up the domain and email protocols like SMTP, POP3 or IMAP. Most of the business email hosting service providers often include webmail email client in the hosting package. Doing so allows access to email via browser such as Gmail. In order to send and check mails from the desktop computer through a browser, you have to install an email client app. Though, with open source and commercial options which are free-to-access, software such as Mozilla Thunderbird will make it straightforward. Not everybody requires email hosting. Often, huge enterprises have own mail servers which are maintained and managed by in-house IT resources and email administrators. Whether it is small, medium or large business, all type of businesses rely on plans hosted by third-party. As a substitute, they can keep email solutions onsite or they can manage via cloud vendor like platform of Microsoft Office. In the present era with uses of free-of-cost mail services, such as Outlook and Gmail, there are only a few individuals which utilizes dedicated email hosting. Paying a small fees for email hosting each month is not something everybody is looking for. When a person choose email hosting, so it is basically keeping a professional email address or for work purpose like freelancing or consulting. All these things make email hosting a largest market for small as well as medium businesses. Usually, organizations don’t have budget of managing, securing and building own servers. Therefore, they pay for email hosting service providers in order to manage technical aspects of email services. Most of the hosting providers offer numerous packages in order to cater the demands of emerging businesses. One of the major benefits of email hosting is having your email address linked with the domain name. With email hosting, in place of utilizing @hotmail.com or @gmail.com, your address will be @yourdomain.com. Businesses which want to have a good reputation and gain trust of the customers, email hosting is must for them. Though, your business reputation is not everything which will benefit you in working with a professional email hosting provider. By getting an expertise and experienced hosting provider, you could be assured of good email services, secured from email threats and they will be maintained and managed with a backup every day. However, free services such as Gmail is good for doing private emails, but it is not responsible for requirements. In addition, user support will not be easily accessible. In case, you need to take such accountabilities on your own, then you will either need to hire a complete staff or train your IT team. Previously, it is expensive and later takes time or might result in severe problems as the team learns the right way of doing things. Hence, signing a contract with best email hosting service provider might take care of the cost paid by you to handle. Text messaging, social networking and other communication are booming in the business market. Especially, email service has a bright future. In fact, these data points are becoming more prevalent within the workplace. In order to have a successful business, you should avail best-in-class business email hosting services. To do so, you can utilize this guide and look at other email hosting provider to get an ideal one for your business.